Autumn has come and gone, and winter has made its way into your home. The outside of your house looks like a winter wonderland, but with it comes many changes. A fact is the colder weather brings more activity in the bug world as well. While the insect population does not grow during the cold months, they do storm your living space for warmth and water. Eventually, your haven becomes the pests’ refuge as well. The truth is they become annoying. Some people who get in contact with them such as bed bugs cause severe allergic reactions. Some even transmit disease, and others create havoc damaging the structure of the home. Just awful don’t you think? Ranger Pest Control wants to help identify some of the invaders you need to look out for this winter in the home. Prevent pests from becoming freeloaders making your winter uncomfortable. The ant is a sneaky insect that arranges harmonized marches to plunder as much food and water they can get. Never give ants a leeway they will take over your living space in no time. The bug lives in large colonies and best to get a regular pest control service to maintain the barrier during the year. As soon as the drier climate starts settling in roaches begin to scramble indoor for water. They will take residence in your kitchen and bathroom, and everything goes downhill from there. Once the pest finds solid food with a wink of your eye, you have an infestation of roaches. If you suffer from different allergies, the winter is going to be a miserable time. The insect will chew through paper, plastic, cardboard to get hold of food. In an unprotected pantry, a cockroach can do loads of harm if foods unprotected (and not in an airtight container.) Moreover, provisions will spoil while they fill their tummies with the crumbs. Always make sure there is no excess moisture around sinks or appliances. Keep the counters and floors clean and rid rooms from clutter to lessen the environment for pest invaders. Vacuum mats regularly as this creates an ideal setting for you and not your guest. The greatest threat to your home in winter is rodents. These critters are unsanitary, loud, and cause expensive havoc to the house structure. Check for tiny cracks or crevices where they can find a way into the home. If you are not sure that, you do have a rodent infestation you can always call a rodent exterminator in to help identify the problem. 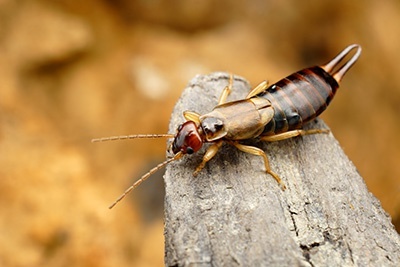 Never leave these pests to roam in the home as they chew through electrical wiring, drywall, and contaminate food. Ignoring the problem could cost you big time in the end. Check the garage as the small creature can chew through the wiring of your car. Remove old leaves, clutter, pet food, and fallen fruits. So call in a specialist to eradicate them with pest control products today and make physical changes that can help keep rodents controlled. Winter is the month for house spiders, brown recluses, and cellar spiders to make your home their abode. They move into attics, closets, mats, the basement and more. You can encounter problematic bikes causing severe allergic reactions. Some will hide away from you while others do not hesitate to attack. To help control the pest keep trees trimmed away from outside walls and the roof. Remove all access and hiding spots by picking up clothes, shoes, and keep loose items in airtight containers. A fact is you will not see many bugs during the winter outside. However, they are not gone they have only made your home their luxury hotel for the winter. Monitor the house for any bug or rodent activities so that you can enjoy a pest-free environment that is cozy and warm. Feel free to contact us we are here to help make your living space the best one to live in without any critters crawling over you.